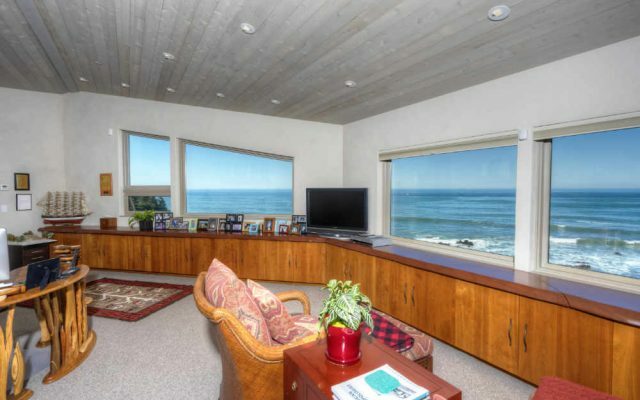 The clients contacted me through my web site.They had a weekend house in The Sea Ranch; I had a couple of Sea Ranch projects on my web site. 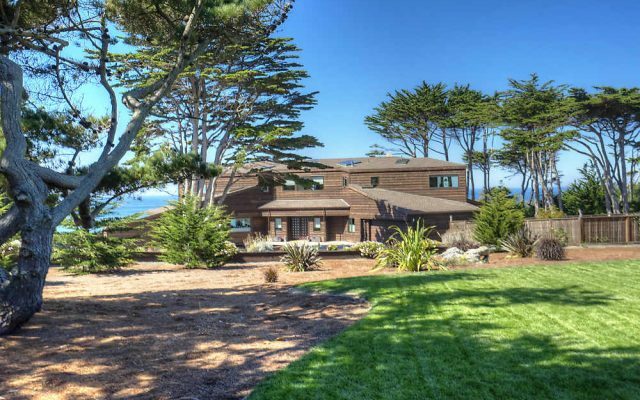 Their Sea Ranch house was their weekend retreat. They lived in San Mateo County. 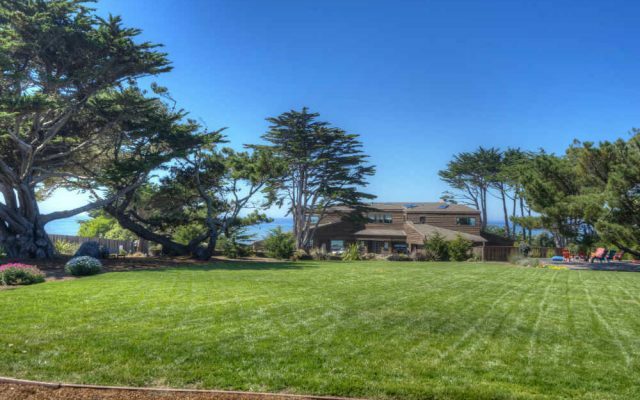 They had purchased this property on the San Mateo coast. The previous owner, after years of effort, was giving up trying to get approval for her design through the Coastal Commission. The house she had an architect design would have fit right in, maybe, in a subdivision of white Mac-mansions in Southern California. There were a few months left before her application expired. We were not allowed to continue with the same application unless we continued with the same house footprint in her coastal application. We were able to make, basically, a whole new house while using that same footprint. 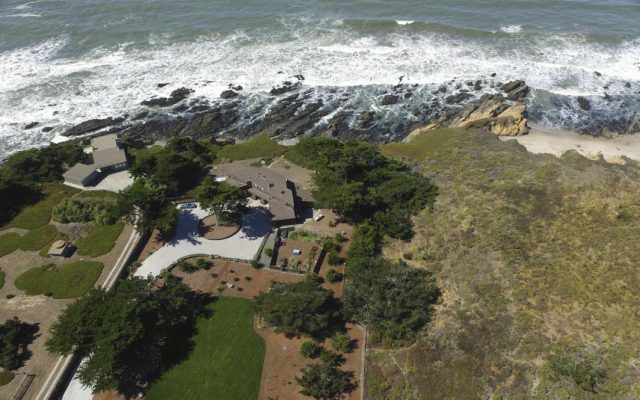 The idea was to create a design more compatible with the coastal environment, similar in style to the The Sea Ranch designs which really through Charles Moore, William Turnbull, and others was an evolution of the Bay Tradition architecture developed by Maybeck, Wurster, and others. 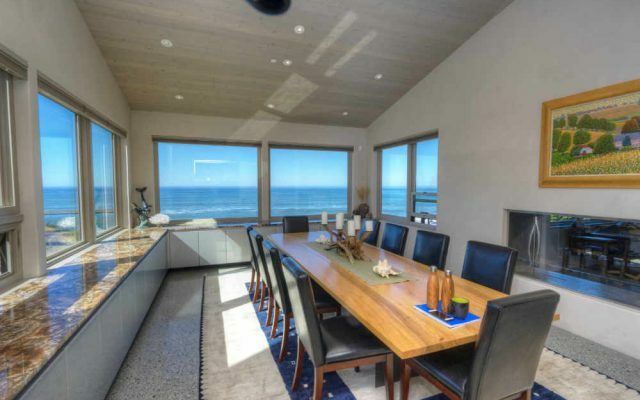 The new owner, Barry, a venture capitalist in Silicon Valley was able to usher the project through the Coastal Commission; Wo his wife, who had previous building experience became the on site construction manager. She set up a job shack and was there everyday, good or bad weather, through the construction process. 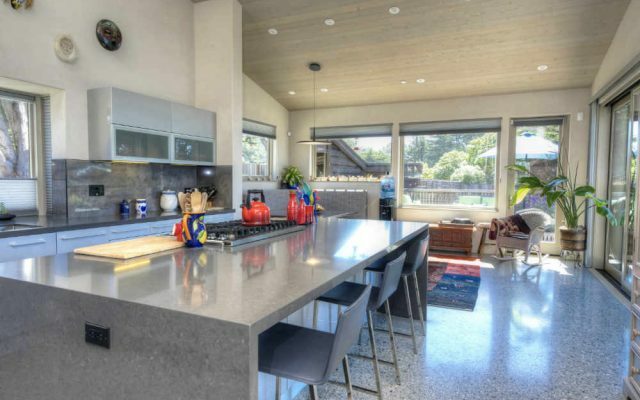 The house has exposed polished concrete floors, with radiant hydronic floor heating. The owners said they only used the heating system a couple of times the first year; since the solar heat coming through the windows and absorbed in the concrete floors kept the house warm all night and through the morning. It is a very open flowing floor plan; there are only a few interior doors. The entry to the house is protected from the prevailing northwest winds by the garage wing of the house. The previous design had the garage door opening towards the road and exposing it to the wind when the garage door was opened. 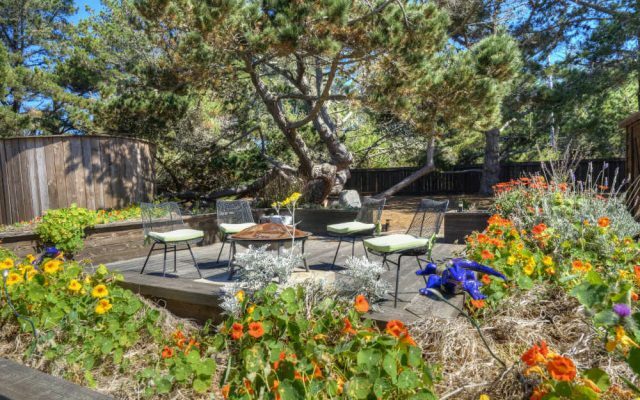 The new arrangement made it more protected and accessible to the house entry and created more of a motor court with the circular drive around the saved Monterey Cyprus tree. Similarly, the deck off the kitchen- dining areas is protect by its recessing into that corner of the house. The outdoor weather on the coast can be pleasant even on a windy day so long as you are in a wind protected area with access to the sun. Previous post: Brown House Addition, Plantation, Ca.